Lost in Space Robot. What you see in the photos is what you are getting. Sealed Model Kit. 1999 YELLOW SUBMARINE Beatles AMT Model Kit SEALED INSIDE with INSTRUCTIONS.Box is opened but kit is still FACTORY SEALED bag inside with Instructions & decals.Box is Solid & Complete with light age wear.Model in pictures is model you will receive. 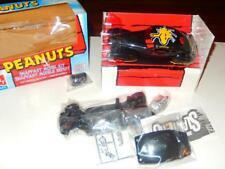 SNAPFAST MODEL CAR KIT. AMT / ERTL. SKILL LEVEL 1. NEW MODEL- REVELL- 04514 GRUMMAN F-14A BLACK TOMCAT- LEVEL 3- NEW- W51. PAINTS AND SUPPLIES NOT INCLUDED. This is a AMT Round 2 1/25 2009 Chevy Corvette Convertible Model Kit. BATMAN BATWING. 1/25 MODEL KIT. 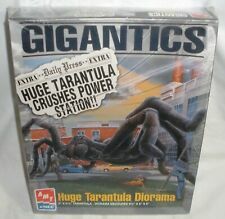 MODEL KIT WAS NEVER OPENED. FACTORY SEALED. THE BOX IS SEALED IN PLASTIC. THERE IS A SMALL DENT ON THE TOP OUTER EDGE OF THE BOX. A LITTLE DUSTY ON THE OUTER PLASTIC DUE TO BEING IN STORAGE ALL THESE YEARS. This is a great diorama. Includes the Alien, the egg and eve thing you see. Very nice for any collection. Size 12" X 9" X 11.". New in Unopened Box. Sold as is. New In The Box Never Opened. THIS KIT HAS BEEN OPENED AND IS COMPLETE. KIT ALSO COME WITH LIGHT KIT. WE ALWAYS COMBINE SHIPPING FOR MULTIPLE WINS. PLEASE EMAIL ME ANY QUESTIONS BEFORE BIDDING, THANK YOU AND GOOD LUCK. Product Code: AMT624. Arguably Star Trek's most popular character, Mr. Spock made his debut on Star Trek: The Original Series in 1966. Over 40 years later, Spock is once again featured in the new Star Trek film. 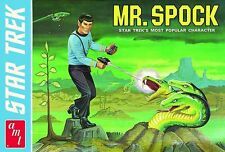 1995 AMT Mr.SPOCK vinyl model kit #8704. New Sealed unopened. Aria the Natural . Alice Only. Solid Works. Ultra Rare . Girls In Uniform . Ultra Rare .